IAS PRELIMS 2017 REVISE ECONOMIC SURVEY WITH 100 TERMS pdf -GS Score –The Economic Survey is must for IAS Prelims Examination. Since it is very bulky in nature often candidates fail to extract crux of survey which is important for Preliminary Examination. Here is an attempt to fill the gap in shortest possible way. As in the prelims, questions on Indian economy are generally related to the current events thus Economic Survey may provide a clear cut picture of the Indian Economy and latest trends associated with it. 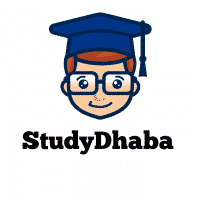 which consist of the important terminologies from both the years and may act as Quick Revision Tool for the aspirants in the last lap of preparation. 2017/18 GDP growth seen between 6.75 and 7.5 per cent year on year. GDP growth rate at constant market prices for the current year 2016/17 is placed at 7.1 per cent. The federal statistics office’s estimate of 7.1 per cent growth for 2016/17 likely to be revised downwards. Service sector is estimated to grow at 8.9 per cent in 2016/17. Industrial growth rate expected to moderate to 5.2 per cent in 2016/17 from 7.4 per cent in 2015/16. The average Consumer Price Index (CPI) inflation rate declined to 4.9 percent in 2015/16 from 5.9 percent in 2014/15. CPI-based core inflation has remained sticky in the current fiscal year averaging around 5 percent. Oil prices, seen rising by one-sixth in 2017/18 over 2016/17 prices, could dampen India’s economic growth. Government debt to GDP ratio in 2016 seen at 68.5 per cent down from 69.1 per cent in 2015. There has been an improvement in the financial position of states over the last few years. The average Revenue Deficit has been eliminated, while the average Fiscal Deficit was curbed to less than 3 percent of GSDP. The average debt to GSDP ratio has also fallen. Centre’s Fiscal Responsibility and Budget Management (FRBM) Act, mirrored by Fiscal Responsibility Legislations (FRL) adopted in the States. As per the Survey, gross NPAs has climbed to almost 12 per cent of gross advances for public sector banks at end-September 2016. At this level, India’s NPA ratio is higher than any other major emerging market, with the exception of Russia. The consequent squeeze of banks has led them to slow credit growth to crucial sectors-especially to industry and Medium and Small Scale Enterprises (MSMEs)-to levels unseen over the past two decades. As this has occurred, growth in private and overall investment has turned negative. The trend of negative export growth was reversed somewhat during 2016-17 (April-December), with exports growing at 0.7% to $198.8 bn. During 2016-17 (April-December) imports declined by 7.4% to $275.4 bn. Trade deficit declined to $ 76.5bn in 2016-17 (April-December) as compared to $ 100.1bn in the corresponding period of the previous year. The Current Account Deficit (CAD) narrowed in the first half (H1) of 2016-17 to 0.3% of GDP from 1.5% in H1 of 2015-16 and 1.1% in 2015-16 full year. In H1 of 2016-17, India’s foreign exchange reserves increased by $15.5bn on BoP basis. During 2016-17 so far, the rupee has performed better than most of the other emerging market economies. At end-September 2016, India’s external debt stock stood at $ 484.3bn, recording a decline of $ 0.8bn over the level at end-March 2016. Most of the key external debt indicators showed an improvement in September 2016 vis-à-vis March 2016. The share of short-term debt in total external debt declined to 16.8% at end-September 2016 and foreign exchange reserves provided a cover of 76.8% to the total external debt stock. India’s key debt indicators compare well with other indebted developing countries and India continues to be among the less vulnerable countries.